A strong argument can be made that Detroit has the richest musical history of any American city. In the shadows of the major labels in New York, Los Angeles, and London, and in the face of post-industrialization and social unrest, Detroit has given the world some of the most innovative and cherished music of the past sixty years. Berry Gordy’s Motown empire revolutionized the pop song in the sixties and brought black music to the mainstream at an unprecedented scale. Iggy Pop and Death were punk before there was punk. George Clinton’s Parliament/Funkadelic dynasty was an essential precursor to Hip Hop and J Dilla’s mastery of the MPC revolutionized beatmaking. 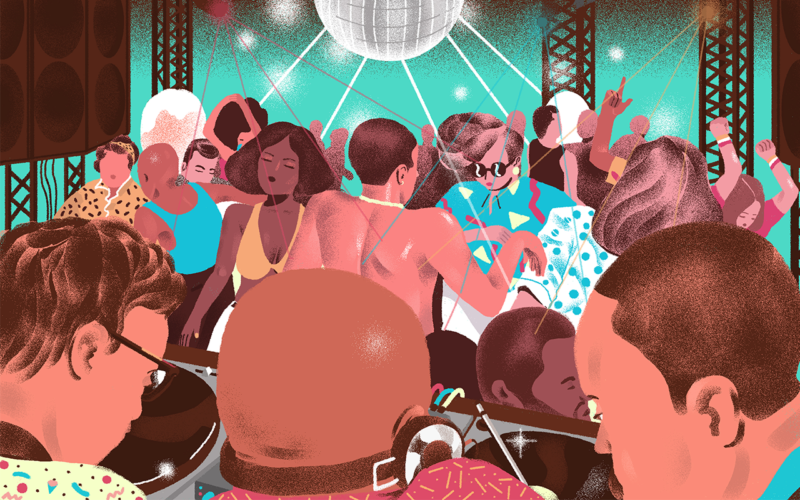 While these chapters in music history are beyond the scope of one editorial, they are the remarkable context from which Detroit techno and house were born. From studio discoveries to the stories behind genre-defining sounds, The Sound is an exploration into the creative process of today’s innovative artists. Now, following Detroit’s annual Movement Festival, we’re featuring producer-curated sample packs, contests, and interviews with the leading voices in Detroit music. Read on for the first entry of our three-part editorial series, where you’ll find sessions dissecting the rhythms, basslines, chords, and hooks of selected Detroit classics, giving you insight into the DNA of music that changed the world. In the late seventies, a decade after the city’s devastating race riots, a group of Detroit teenagers in the suburb of Belleville were transformed by the local radio DJ, the Electrifying Mojo. Playing the homegrown P-Funk of George Clinton alongside the European machine music of Kraftwerk, the Electrifying Mojo transcended the racial boundaries of radio at the time and planted the seeds for a new form of music to grow. While the American Dream was failing their city and their people, Juan Atkins, Derrick May, Kevin Saunderson, Blake Baxter, and Eddie Fowlkes looked to the future while retaining a fierce pride in their cultural landscape. Atkins’ early 12” under the Cybotron name “Cosmic Cars” preceded the electro funk of Afrika Bambaataa in New York and “Techno City” would later give the music its name. While the blue-collar industriousness of Detroit lifestyle inspired the launch of countless artist-run independent labels (such as Atkins’ Metroplex and May’s Transmat), a European record deal with English mogul Neil Rushton introduced techno to the world. To market the music, Neil needed a name to clearly distinguish it from Chicago house and Atkins’ use of the word “techno” stuck. Here are four tracks that defined the genre’s first decade. Derrick May described the techno sound as what would happen if “George Clinton and Kraftwerk were stuck in an elevator with only a sequencer to keep them company.” No record encapsulates this image quite like Juan Atkins’ 1983 LP, Clear, under his Cybotron project. Inspired by futurist writer Alvin Toffler’s book, Future Shock, Atkins blurred the boundaries between man and machine with Korg’s groundbreaking MIDI recorder/sequencer, the SQD1, an MS-10, and an 808. When the syncopated piano chords of “Strings of Life” landed, they revolutionized the DNA of dance music. Meshing polyrhythmic chord patterns and synth string stabs with a stabilizing 4/4 kick, this essential track from Derrick May’s project Rhythim is Rhythim forged a new blueprint for dance music while merging the sound of traditional instrumentation with the step-sequenced world of drum machines. Tomorrow, we’ll dive into Detroit techno of the 90s and follow its journey into harder territory.